1. He is not mad at me. His wrath toward sin was satisfied in Christ. 2. He doesn’t love me less on the hard days or more on the good days. His love was settled once and for all, on the cross, through Christ. 3. He delights in me, simply because I belong to Him. His favor and inheritance belong to His children both now and forever. What love Father God has for us! And ’tis the month for love! 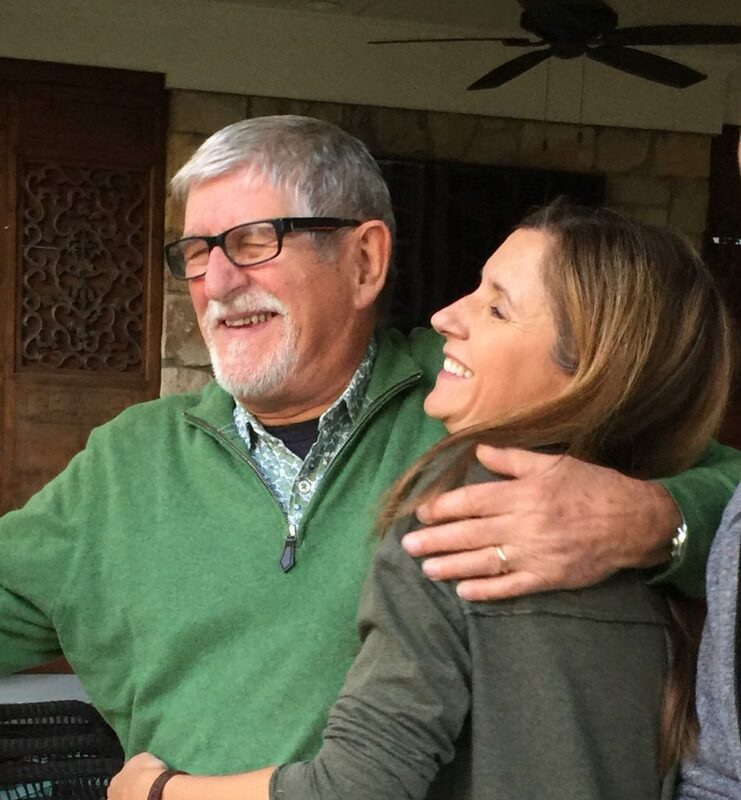 I’m excited to share with you what my friend Niki Hardy is doing over on Instagram (in February) as she encourages us to really know the Father’s love for us, not just know about it. If I’m honest (and I seem to be pathologically honest), I don’t know God loves me. Here’s the thing, my head knows God loves me. I’ve been told how much ever since I first asked Him to come into my messed up life. I read it in the pages of my Bible, listen to it in catchy worship songs, and hear it every Sunday in church. This chap here is my Dad. I love him and I know he loves me. He’s not perfect, nor is his love for me (sorry Dad) but then, who is? Oh yes, God is (I know, I’m a genius). He’s perfect and so is His love for me. Like my Dad, God’s my Father too (albeit a heavenly one, without skin on, but possibly with a very similar beard). So why is it that I find it so hard to grasp His love for me when, unlike my Dad, He’s totally perfect and has never let me down (and never will). I don’t want the knowledge of God’s love to stay stubbornly in my head and not find its way to my heart, where I so desperately want to know it and feel it, and where it can start to heal and mend the broken painful parts of me. My Dad’s love made the 12 inch journey, I want God’s love to as well. 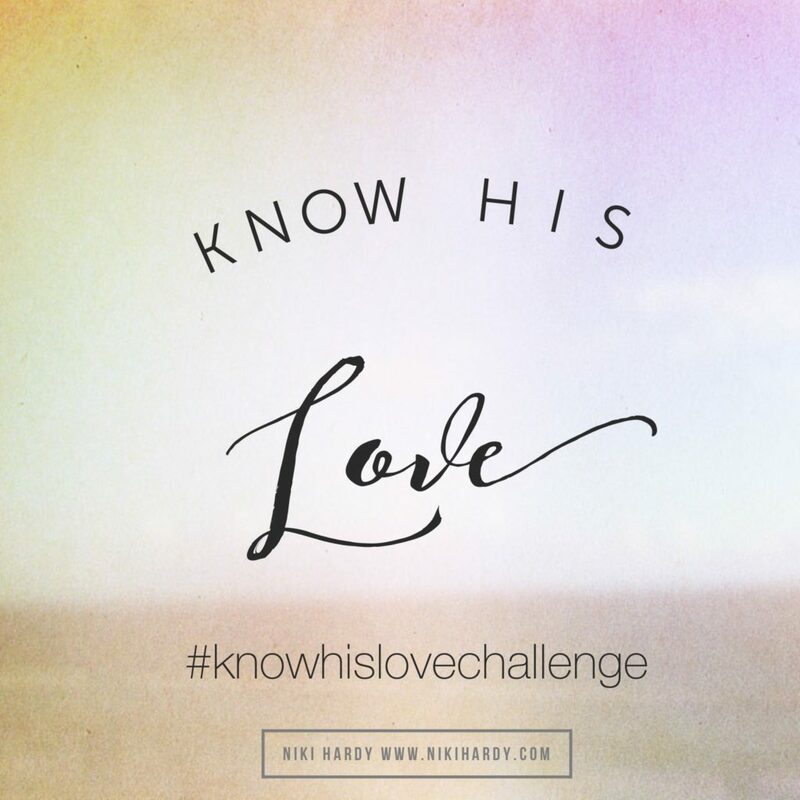 If this resonates with you, and you want to know God’s love for you, deep in your heart, come and join me this month on Instagram (niki.hardy) for the #knowhislovechallenge. The aim is to let His love sink into our hearts by reading a Bible verse a day that shows us how deep His love is. I invite you to take time to soak in it and let it minister to the nooks and crannies of your soul. As you do, I believe God’s lavish love will sink those pesky 12 inches from our heads to our hearts. 2. Throughout February (the month of love!) Niki will share a verse a day. 3. Take a moment each day to let the verse wiggle deep into your heart. 4. Share it with your peeps, tag friends, and invite them to join in so they can know His love too. 5. On days that the verse speaks to your heart, post a comment. 6. Use #KnowHisLove so we can follow and encourage one another (it’s a team sport guys – or as Jesus said more eloquently; we’re His body). See on Instagram friends! I’m ready to let His love sink deep, deep down into all the nooks and crannies of my heart. Are you? Niki Hardy is a Brit living in Charlotte, NC. A self confessed fresh air junkie, dog lover and tea drinker she is happiest running trails with her dogs. 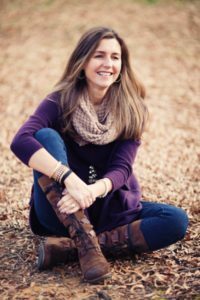 As a cancer survivor with three teenagers, she loves to find humor and grace in the midst of life over on her blog, My Story My God, on Facebook and Twitter. I also use scripture to remind me of how much God loves me. Other ways I know God loves me are seeing how my husband loves me, how my parents loved me, etc. His love is real and everywhere! Thanks for sharing this. Great ways to know His Love, Lisa!